‘ShakeAlert’ is designed to detect the subtle seismic waves that precede the destructive ones. 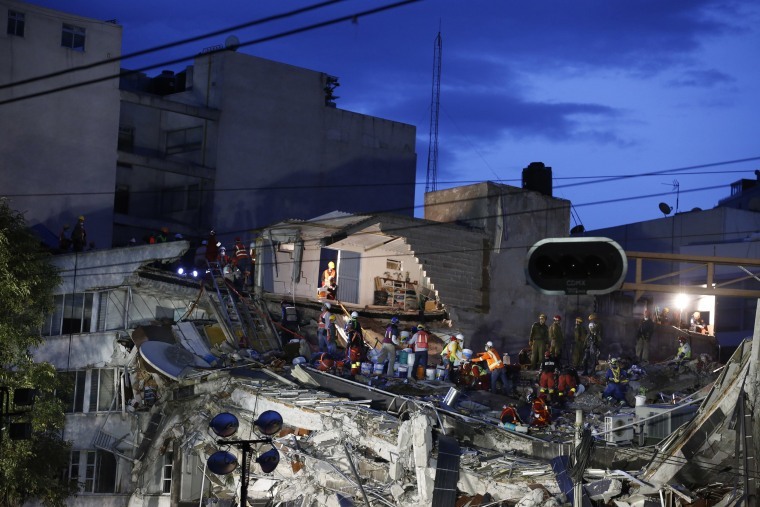 Early-warning systems for earthquakes like the one that saved lives recently in Mexico City are highly effective, but the USGS ShakeAlert program is in jeopardy thanks to disputes over funding. After approximately 30,000 people died when an 8.0 magnitude earthquake rocked Mexico City on September 19th, 1985, the Mexican government developed the first early-warning system for earthquakes in the world. It was this system that limited the harm done by an 8.1 quake in the same city this September, followed by a 7.1 quake not two weeks later. In all likelihood, the system saved tens of thousands of lives, simply by giving citizens more than a minute of notice to get to safety. According to the Federal Emergency Management Agency, earthquakes cost the US about $5.3 billion per year. FEMA also believes that within the next 30 years, there is a 99.7 percent chance that California will experience an earthquake stronger than 6.7, and a 10 percent chance the Pacific Northwest will experience another 8.0-9.0 megaquake, like the one seen in 1700. For the last ten years, the US Geological Survey (USGS) has been preparing for these eventualities. In partnership with various agencies, universities, and private organizations, the USGS has developed a similar early warning system called ShakeAlert. The system’s sensors detect the first pressure waves to arrive from an earthquake, known as primary or P-waves, which cause minor shaking but little destruction. Like lightning that warns you to cover your ears before the boom, P-waves serve as a warning for much more destructive S-waves, which follow closely behind. The “production prototype” for ShakeAlert began to operate in 2012 all along the West Coast, but remains at half-capacity; about 750 of the 1675 planned stations are currently operational. The complete system launch is planned for 2018. Although it isn’t fully operational, ShakeAlert is already helping keep people safer. Oregon power companies have used the system to close pipeline valves and protect command systems during quakes. California’s Bay Area Rapid Transit System (BART) uses it to minimize derailments by slowing or stopping trains while the shaking persists. High-rise buildings can stop elevators; hospitals can stop surgeries and protect delicate systems and infrastructure when they’re warned by the system; and as the system gets bigger, and becomes more connected to the Internet of Things, the system can warn more people across the affected area. However, the ShakeAlert system and everyone relying on it are at risk, as the USGS has been targeted for funding reductions by the current administration. The proposed $137.8 million reduction would have ended the program, despite support from Congressional representatives Kevin Calbert (R-Corona) and Adam Schiff (D-Burbank), who provide bipartisan backing for the project. For now, the USGS budget was set at $1 billion for 2018 by Congress, a cut of only $46 million, which will keep ShakeAlert alive for at least another year. ShakeAlert won’t be everywhere on the West Coast in 2018. It will almost certainly roll out in January in Los Angeles first, where the highest density of seismic sensors on the west coast and more than 200 tectonic fault lines make for the perfect testing zone, before expanding to other areas. In 2018, experts will be working to minimize false alarms, warn the maximum number of people when real alarms do occur — and keep the program alive in a hostile funding climate.